Show up with style in the bold 2018 Avalon from Toyota of Tampa Bay. The new Avalon presents itself with a powerful confidence that commands all the right attention on the road. The 2018 Avalon has 8 available trim levels to accommodate a variety of preferences —XLE, XLE Plus, XLE Premium, Touring, Limited, Hybrid XLE Plus, Hybrid XLE Premium and Hybrid Limited. The new Avalon’s beautiful exterior is highlighted by features such as available LED headlights, 18-inch alloy wheels and dual exhaust. Intricate interior details, such as standard leather-trimmed seats, soft-touch materials and French stitching, emphasize the 2018 Avalon’s sophisticated style. The new Toyota Avalon has the ability to get up and go! Its 3.5L V6 engine produces 268 horsepower and 248 pound-feet of torque. Turn the thrill level up a notch by engaging sport mode for an increased throttle response and quicker Electronic Power Steering. With power like this you may think that fuel efficiency would be sacrificed, but the 2018 Avalon would have to politely disagree. The new Avalon is a certified Ultra Low Emission Vehicle and gets an impressive manufacturer-estimated 31 MPG highway. So you can save your extra gas money for something a little more fun. Feel like you are floating through the streets of Florida with the 2018 Avalon’s fully independent suspension. The suspension stabilizer bar and aerodynamically efficient design make for a quiet, smooth and comfortable ride. When it comes to innovation, the new Avalon is a pioneer. With available Qi-compatible wireless smartphone charging you simply place your Qi-compatible device in the 2018 Avalon’s non-slip integrated eBin™ and your device will be fully charged in no time. The days of messy tangled wires are over! The new Avalon pushes the envelope further than the Buick Lacrosse, Nissan Maxima and Chrysler 300. At the center of the 2018 Toyota Avalon is its standard touchscreen display with Entune® App Suite. The Entune® App Suite makes life easier by allowing you to access your favorite music with Pandora, make restaurant reservations with OpenTable® and buy movie tickets with MovieTickets.com. The new Avalon comes standard with the Star Safety System™ which is comprised of Vehicle Stability Control, Traction Control, Anti-lock Brake System, Electronic Brake-force Distribution, Brake Assist and Smart Stop Technology. These 6 safety features act as a team to keep you safe. In the unfortunate event of an accident the 2018 Avalon does more to protect you. Whiplash-Injury-Lessening seats are engineered to give in a controlled manner in the event of a rear-end collision to reduce the impact on your neck and spine. 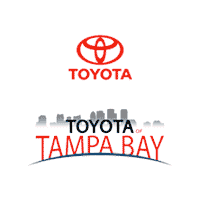 Find out why drivers in Tampa, Brandon and Wesley Chapel are choosing the new Toyota Avalon at Toyota of Tampa Bay. Visit us today to test-drive, buy or lease the 2018 Avalon sedan.